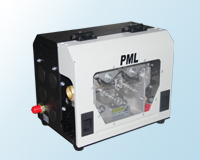 As the wire feed motor supplier for the international famous welding machine manufacturers Panasonic and OTC, PML Wire Feeders are both reliable and offer superior performance in CO2 gas shielded arc welding machines and widely used in the welding industry. Gearbox Motor Wire Feeders and Wormgear Motor Wire Feeders . Apply PML patent wormgear wire feed motors,it guarantees reponding quickly,feed stably and precisely. Apply PML gearbx wire feed motors,which are used widely in Panasonic Welding machine. 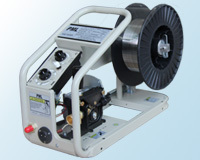 The Wire Feeder are with reliability and superior performance. Compact size,high precision and reliability. 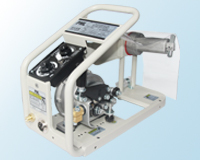 It is compatible with various types of welding torch interface e.g. Panasonic,OTC, Euro type. Copyright@2011 PML MOTORS CO., LTD.